Mystery Sea MS26 | CDR | 2005 | 10,00 € | OUT OF STOCK! 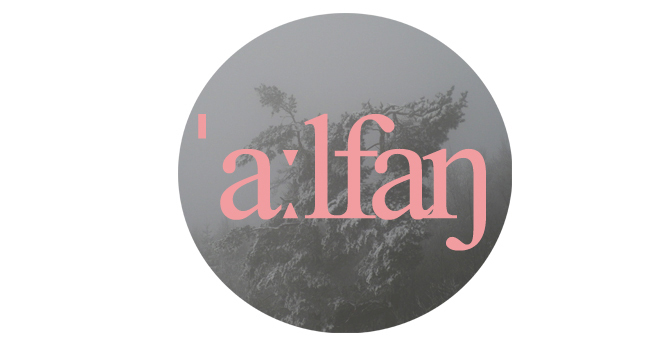 Aalfang’s fourth full-length output was released on the Belgium Mystery Sea-label and presents two floating atmospheric drone-pieces about tea, Tschuang-Tse and Zeit. Aalfang’s fourth full-length output was released on the Belgium Mystery Sea-label and presents two floating atmospheric drone-pieces. "Once you dreamt sitting at a coarse beach under a murky sky. Surrounded by a green, alga-filled ocean. Dying, reincarnating. There you watched two persons – merely silhouettes in the dusk or dawn." "Das Bonner Projekt Aalfang mit Pferdekopf hatte es in der Vergangenheit nicht leicht mit Lichttaufe. Zu Unrecht, wie ich finde. Mit Genmaicha – At the Opal Seashore legt Mirko Uhlig jetzt sein x-tes Album vor (er wird selbst kaum noch mitzählen), veröffentlicht über das belgische Mystery Sea-Label. Auf der auf 100 Stück limitierten CD-R zelebrieren Aalfang mit Pferdekopf das, was sie am besten können und so erwarten den Hörer zwei lange, ruhige Ambient-Stücke mit einer Gesamtspielzeit von über 40 Minuten. Das erste Stück, The Fragrance of Rice over Green Calm Waves greift das Thema des Albumtitels auf. Genmaicha, Google klärt mich auf, ist demnach eine japanische Spezialität, welche grünen Tee mit geröstetem Reis veredelt. Aalfang mit Pferdekopfs Musik lädt zum Kopfkino ein und der Blick in die Teetasse läßt Assoziationen eines untergehenden Frachters auf ruhiger, hoher See aufkommen. Schwächer werdende, schiffsschraubenartige Geräusche werden von metallischem Stöhnen und Ächzen abgelöst. Dann umschlingt ebenso liebliche wie nervenzerreißende Ruhe den stählernen Sarg, der in der Mitte des Stückes am Grund des Ozeans angekommen zu sein scheint. Hier wird er noch ein wenig von den Strömungen in die richtige Position gebracht, nur um kurz darauf endgültig harmonischem Vergessen überantwortet zu werden. Von Zeit zu Zeit scheinen sich noch fremde Schiffsschrauben zu nähern, nur um sich wieder zu entfernen. Ein vom Wasser gedämpftes Klavierspiel schließt das Stück enigmatisch ab. Das zweite Stück, The Butterfly Dream, führt die merkwürdige Stimmung seines Vorgängers fort. So kommt auch dasselbe (oder doch nur gleiche?) Klavier zum Einsatz. Am Ende werde ich aber von an Schritte und Wind oder Gewitter erinnernden Geräuschen aus meiner sicher geglaubten Illusion gerissen. Aber egal ob ich mit meiner Deutung richtig oder falsch lag: Mit Genmaicha – At the Opal Seashore legen Aalfang mit Pferdekopf ein Ambientalbum zum Träumen und Sinnieren vor, das dem Motto des Mystery Sea-Labels, “Night Ocean Drones”, vollends gerecht wird." "Someone once quipped that talking about music was like dancing about architecture. This is so obviously wrong that we seriously suspect that it wasn’t in fact Frank Zappa who said it, but rather some hopeless cynic. On the other hand: Aren’t the biggest cynics just the romantics who got diappointed most? ”Genmaicha” seems to have been written especially for them. For this is an album that takes you all the way back. To a place and time, when nothing was important and nothing impossible. When worries were far away and there was only warmth, trust and tenderness. These two stretched-out pieces are the endless oceans of a nascent cosmos and an eternal womb – everything moves slower here, yet with the powerful and comforting heartbeat of mother gaia. When you’re inside a bubble, you can feel both safe and suffocating, both sensations are present here: After the frightening opening sequences of ”The Fragrance of rice over green calm waves”, a long, longing sigh commences, which impalpably changes its colour and pulse – at times you will find your cradle being gently rocked by a tender hand and then again some evil claw is reaching out for you. Someone touches a fender rhodes by accident, but apart from that, there is no obvious melodies or themes, just harmony and a beating heart. ”The Butterfly Dream”, then, sounds like the echo of a kiss inside a pitch-black tunnel, like bells striking in reverse against a cloth of felt. After fourty minutes, you’re leaving the Opal Seashore again – or is it leaving you? This is Aalfang mit Pferdekopf’s fourth fabolous full-length, after his self-released debut and the ”12 Seepferdchen” record on einzeleinheit and it should give back at least a glimmer of hope to all those broken souls out there. For, even if our description should only come half-way in portraying how great this music truly is, it doesn’t prove Zappa right. Instead, talking about music is like talking about love – just because it’s not the real thing, doesn’t mean you shouldn’t try." "'Genmaicha', besides being a very pleasant listening experience, is also my favourite album by Mirko Uhlig until now. 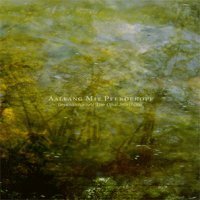 The whole record is centred around amorphous sensations, its aesthetic engulfed by an equalizing process that privileges the cutoff of high frequencies, transforming Aalfang's soundpool in a morass of disturbing voicings, muddy chords and unquiet spirits dancing and whirling in slowly crumbling cathedrals. What's even better is Uhlig's work with sonic consecutio: no matter how we try to abandon defenses to get overwhelmed by reluctance, the breathtaking loops used by Mirko to raise the level of evocation work wonders in soliciting our sense of doubt, bringing out the most profound despondency in a continuous flow of appearances and displacements. Fantasies can be scary sometimes but this time Aalfang Mit Pferdekopf's imagination gave birth to a quasi-masterpiece of ultramundane music." "The oddly named Aalfang Mit Pferdekopf was mentioned before, in Vital Weekly 488, when they supplied all sounds used by Emerge on their Verato Project release. Now we know it's one Mirko Uhlig from Germany behind this name, and he plays himself some dark ambient music, at least on this release for Mystery Sea. Aalfang Mit Pferdekopf applies no strict rules to his music, he does whatever seems necessary, using 'different' instruments and field recordings. The two cuts on this release show this quite well. Dark and mysterious music of a highly obscured nature. Computer manipulations me thinks of field recordings, slowly moving and slowly unfolding, majestically wandering around. Deep, ambient and drone-like music. Nice as such, and no doubt something that fits well on the catalogue of Mystery Sea, but also without many surprises (as is the current trend in drone music, I believe). But nice indeed. Well made." "You never really know what to expect from Mirko Uhlig's mutating project, judging from the handful of releases I've listened to. The previous ones featured a fascinating - if occasionally unbalanced - mix of drones, psychedelia, concrete recordings and acoustic folk, while the two 20-minute parts of "Genmaicha..." decidedly opt for a more depurated form of ambient music: vast spiralling drones with a warm feel to them, reminding of (largely) guitar-based projects and artists like Troum, Mirror, Moljebka Pvlse or Andrew Chalk. This might well be Uhilg's most mature and successful release to date, and perfectly fits the Mystery Sea tradition of oceanic soundscapes, though I feel that, given his talent, he still has to find the ideal balance between minimalist drones and more adventurous and surrealistic collages." "Aalfang Mit Pferdekopf is the somewhat strange name of German eclectic Mirko Uhlig´s surreal exploring solo project…"says the little biography discretely attached to this disc as information note about this almost unknown yet talented artist . And we fully agree, specially the "…surreal exploring.." part. Giving you a first sight description , "…at the Opal Seashore" is a mysterious and a hypnotic painting, exploring in deep details, the secrets and wonderings of a surreal Nature. A Nature that can only be seen (or heard) inside our dreams or thoughts. Or even the sonic exploration trough the enjoyable Nature of Taste as we enter inside a kingdom of flavours (Genmaicha is the japanese name for green tea combined with roasted brown rice), connecting sensations and mental imagery. From the same spot where we seat and relax , we also enjoy a myriad of both mental and physical sensations, through layers of calm sounds and deviant effects that sometimes establish a strange duality between some sort of acrid madness and breeze-like softness, over a constant low frequency pattern, that inflicts a profound state of enveloping through this work. In fact, the diverse non-stop spawn of atmospheric loops, keep our mind close to a eerie vibe, making each one of us lost the guidance of space and time. It is like floating trough several abstract dimensions, or doing a journey through the many moments of a day in few seconds, wedding the dew-scented misty early mornings with the fading lights of a nightly birth. Sampling organic environment, the sensation of dissolving our souls in the mazes of Nature is very efficient: the bird singing, a dissonant and insipid (of what seems to be) rain, wooden beats, wind, distant iron screams echoing through the valleys like spirits running free at night. All this camouflaged at times by intense sky high sharpened frequencies wrapped on maniac reverbs and panoramic drones that deliver us a unique sensation of breathing inside the sound it self. But do not think this as something exclusively experimental. In fact the true magic of the whole composition , is the gather of all the colours that we can and try recognize here (and they are many) and blur all into one. One and singular tenderness that slides from the particular and almost unheard low-key lightness that align and structure all the vertices of sounds and mind perception, surrounding us deeply in warm and somnolent comfort, as an invisible entity that guide us through distant planes of self imagination and uncompromising liberty. Yes. Mirko work and alter-ego does not fail at all in free our souls. What could we want more? Asking for more…maybe? Positive answer, I anticipate…More tea please."